The image above shows the Château de clos de Vougeot vineyard in France. The building in the background was once a Cistercian Monastery that housed monks for hundreds of years. This particular site is one of the earliest known places where monks began wine making. Today, Cistercian Trappist Monks still make wine, and they even practice the discipline of Silence, meaning they only speak when necessary. They eat meals in silence, work in silence, and forbid what they call, ‘idle talk,’ except during special occasions. Hospitality, Manual Labor, Prayer, Simplicity, and Solitude are the five pillars of Monastic Life. Cistercian Trappist Monks applied these principles to wine making in France, hundreds of years ago. Being disciplined record keepers, they began noting a strange occurrence in their wines. Different soils and hillsides that grew the same type of grapes, were producing very different wines. What they discovered was the importance of soil composition and vine placement in wine making. This gave birth to the strict guidelines of wine production we’re familiar with today. In the late 12th Century, a few hundred miles north-east of Madrid, Spain, Cistercian Monks constructed the first building of the Santa Maria de Óvila monastery. Soon after, like other monasteries at the time, they began producing wine. But before we move on, you have to understand that the most beautiful buildings or rooms of any Cistercian monastery is the Chapter House. A Chapter House is where the monks meet once a day to discuss a chapter of their founder, St. Benedict's Rules for Living. The monastery of Santa Maria de Ovila housed monks who produced wine for hundreds of years. That is until several wars in the 1800s put the Spanish nation in turmoil. Around the 1830s, the Spanish government took over the monastery and sold it to private buyers. The centuries old monastery languished for about 100 years, even being used to house farm animals. More strife and turmoil struck Spain in the 1920s and 30s. 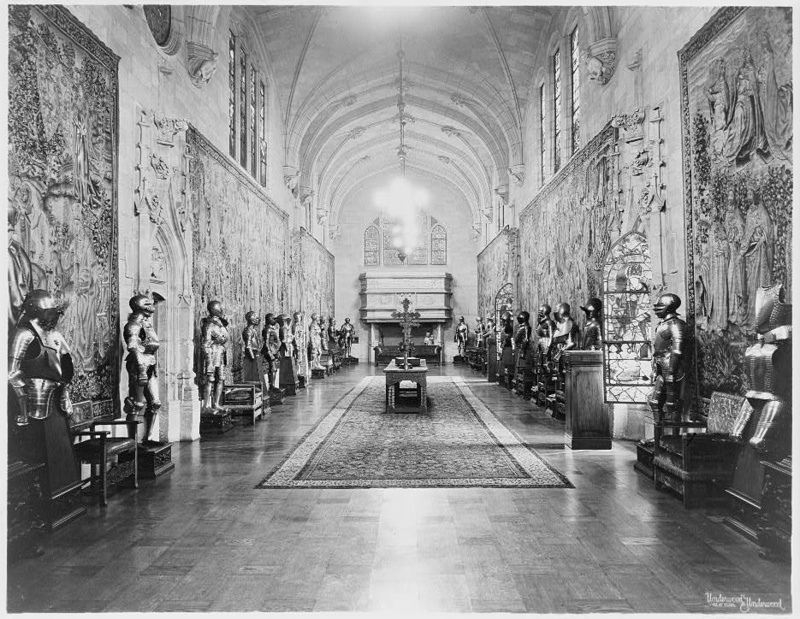 Around the same time, millionaire William Randolph Hearst was buying European antiquities like statues, rugs, and even buildings, and bringing them to California. In 1931, Hearst thought it would be a good idea to buy the Chapter House of Santa Maria de Ovila and bring it to San Francisco. It cost him $97,000, or around $1.5 million in today’s dollars, to make the buy. In order to transport the Chapter House, a crew of construction workers had to dismantle the building stone by stone. They were then boxed up in wooden crates and sent on a railroad line that was constructed for the sole purpose of transporting these stones, to the Spanish coast. It took eleven ships to get them across the Atlantic, through the Panama Canal, and up into the San Francisco Bay. It cost Hearst around one million dollars just to take apart the building and transport the stones, or over fifteen million in today's dollars. Hearst was hurting for cash when the stones finally arrived, and it was costing him roughly $15,000 a month in today’s dollars, to store the stones in San Francisco. This was a little too much money for what Hearst originally wanted to use as his pool house. The millionaire instead donated the stones to the City of San Francisco, and they forgave some of his tax debts in return. San Francisco officials moved the stones to Golden Gate Park, where the plan was to eventually reconstructing the Chapter House, but it would have cost a small fortune. Without funds in the coffers for this enormous project, the stones sat for years. While sitting idle at the park, the wooden crates that housed the stones caught fire. In fact, several fires over the course of a few decades destroyed all the crates, which included the instructions for reconstructing the Chapter House. You can still walk through the Botanical Garden at Golden Gate Park and see several of these stones. You can sit on them, walk on them, even interview them like our Podcast Co-Host, Laura Klivans is doing below. The stones sat forgotten for two decades until they were randomly stumbled upon by a 21 year old Trappist Monk in 1955. Father Thomas Davis was on his way from Kentucky, to live and work at the Abbey of New Clairvaux, a Cistercian Monastery and winery in Vina, California. On his way to the Abbey, a young Father Davis stayed in San Francisco for one day. That evening he walked through Golden Gate Park where he discovered a pile of familiar looking stones. For the next 39 years, he made it his mission to bring the remaining stones back onto Cistercian soil. 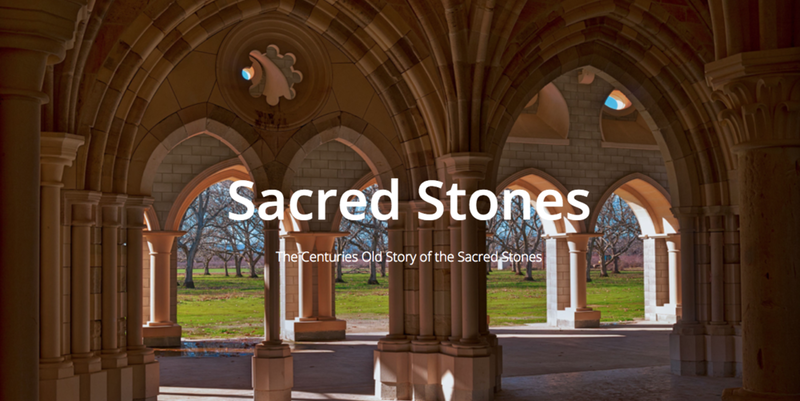 In 1994, after decades of fundraising and phone calls, the city of San Francisco handed the stones over to Father Davis and the Abbey of New Clairvaux. The hand over of the stones was under one condition: that the Abbey would attempt to rebuild the chapter house, if possible. The monks were able to retrieve over sixty percent of the Chapter House stones. A lot of them were damaged, not just from the fires but from being out in the elements for so long. It took over a decade to sift through all the stones to figure out if they had enough that were structurally sound for rebuilding. Here is another shot of the beautiful interior below. You can see the intricate detail and the many stones used to put the Chapter House back together. The exterior of the building was built with newer stone to preserve the older ones. California requires buildings to withstand earthquakes, so extra measures were put into place. The buttresses on the side of the building help keep it secure. The Abbey is only about a two hour drive from San Francisco. For directions to the Abbey or for more information, you should check out their website here: Abbey of New Clairvaux. Don't forget to listen to our episode for the in-depth story. Check it out right here, or on iTunes, Stitcher, Acast, or GooglePlay.